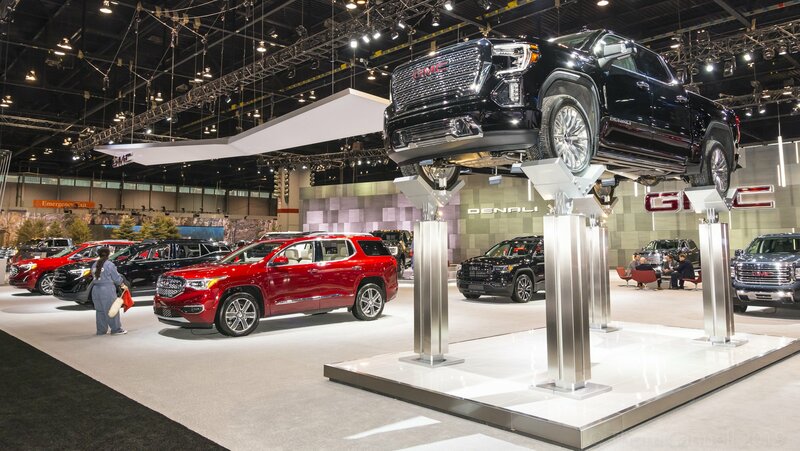 General Motors had no news in Chicago, but delivered crowd-pleasing displays from Chevrolet and GMC, as well as Cadillac and their crossovers and SUVs. 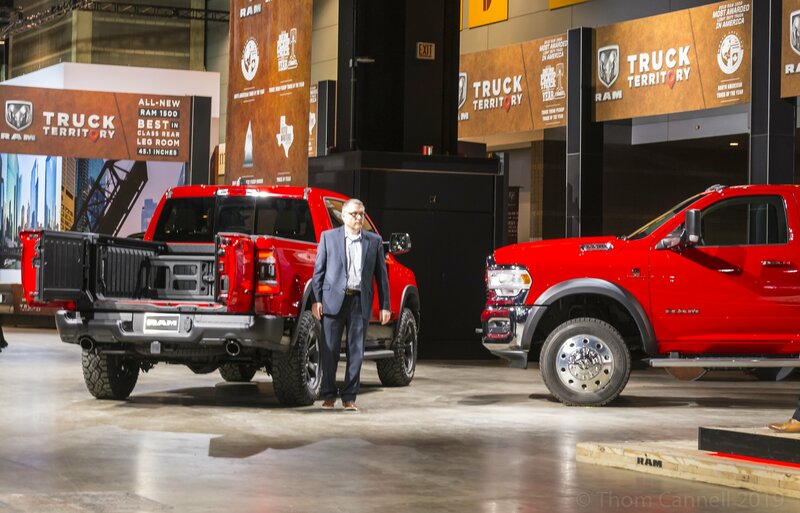 Of interest to truck enthusiasts were Heavy Duty Chassis Cabs from Ram, facelifts and equipment improvements from Toyota, face-lifts for some Nissan CUVs, a new Range Rover Evoke and more. 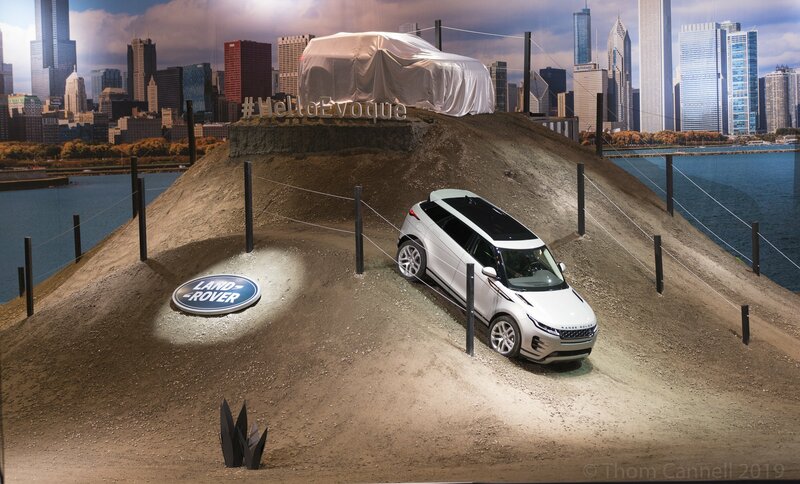 The Chicago show is immensely different from Detroit, and that is a pun. With 2.3 million square feet of display space, the result is wide-spread (and often poorly lit) displays, indoor off-roading tracks, and worn boot-leather. 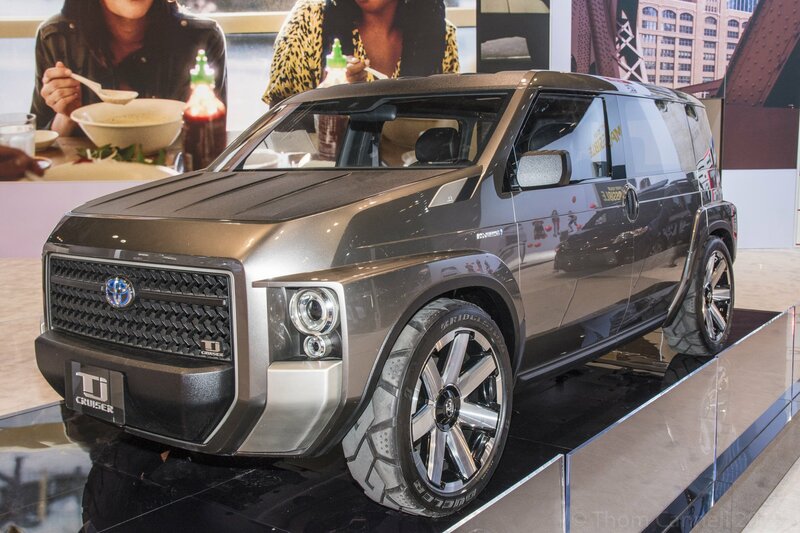 These are the highlights. Alphabetically, Chevrolet brought its cars, well; they must have been there somewhere, and its new Heavy Duty Silverados, which were abundant in every powertrain and trim. And they brought the Lego Silverado, which is amazing in detail and execution. GMC “stood tall” with its Heavy Duty Sierra walk-under display and great lineup. 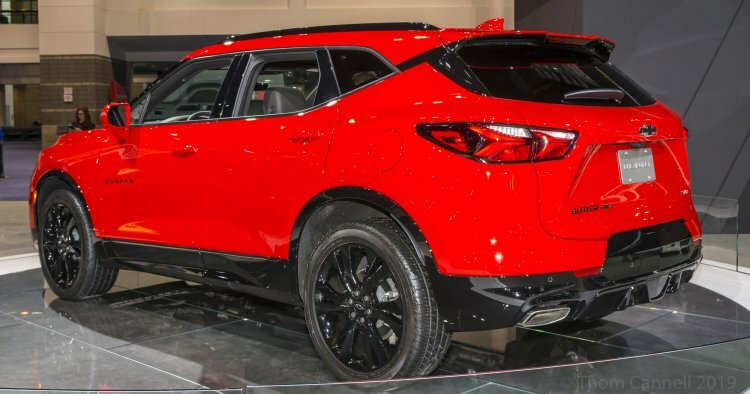 Cadillac replaced their militaristic all-new XT6 with a gray one; it was better. They do have emotional colors available? 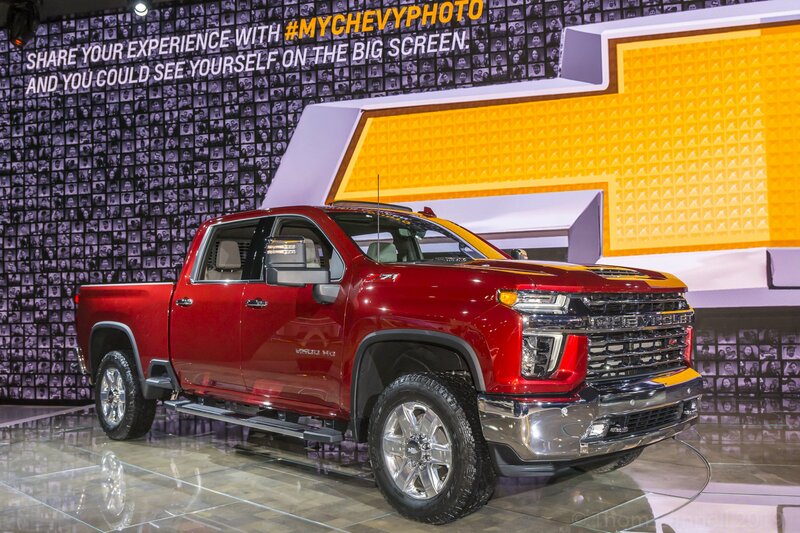 Chevrolet spanned much of the North Hall, filling it primarily with trucks, crossovers like the fiercely red Blazer to lead your eyeballs into the display and nearby SUVs, but the focus was on Super Duty. 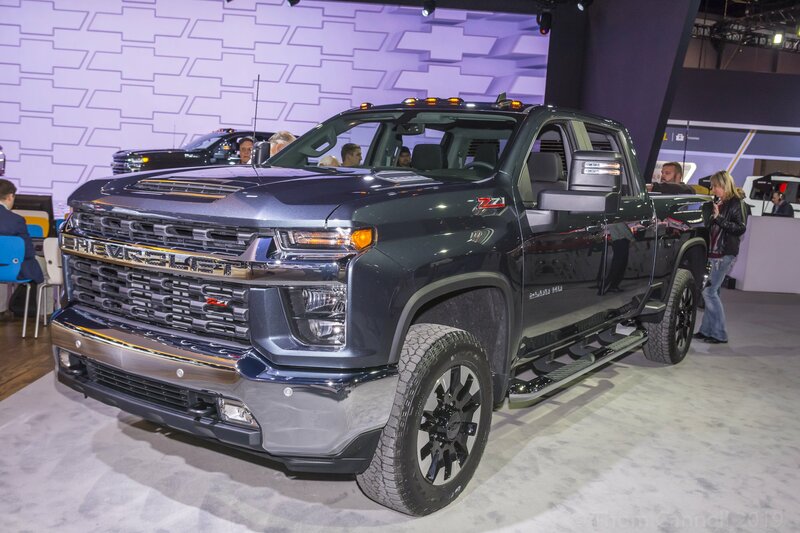 Silverado had pride of position, though the new Traverse was mentioned, as well. 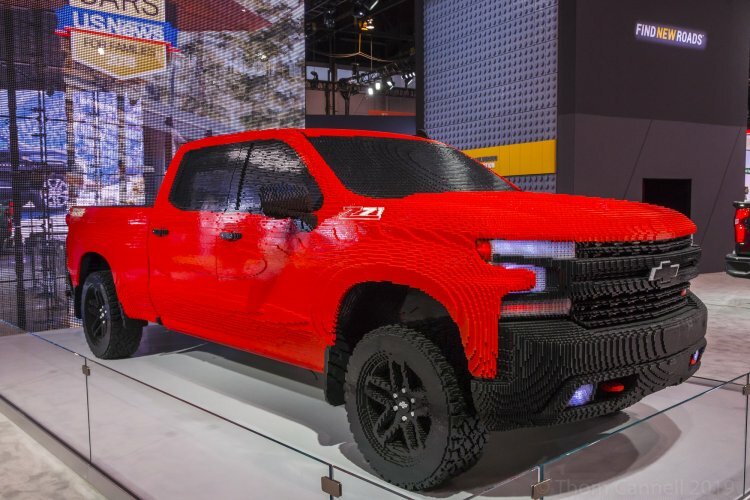 From fifty-feet, you’re not convinced this Lego truck isn’t a real Silverado Z71. 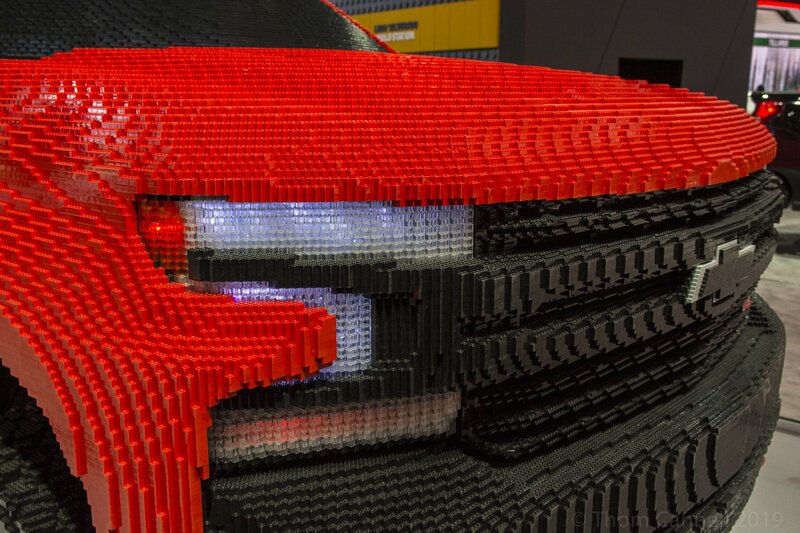 Even closer, it still fools the eye. 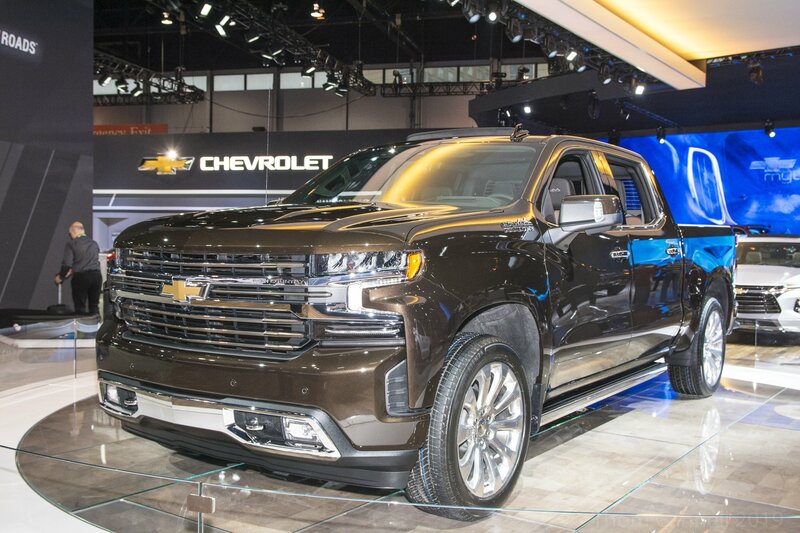 Among the Silverados on display was this High Country. 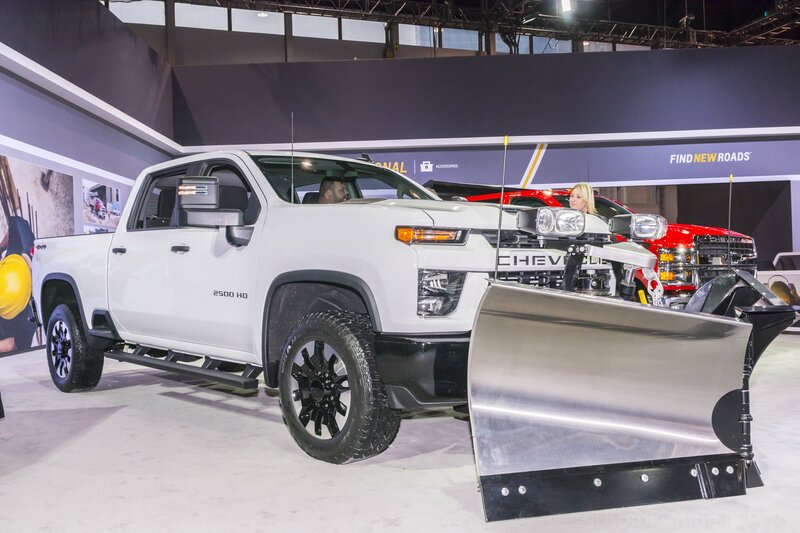 The Z71 Heavy Duty proved popular to the dealer, potential buyer, and social media crowd. 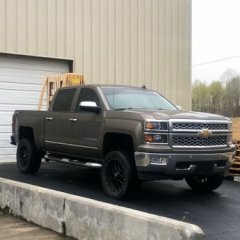 Green is nice, Red is better, and note the difference in wheels and running boards per model. 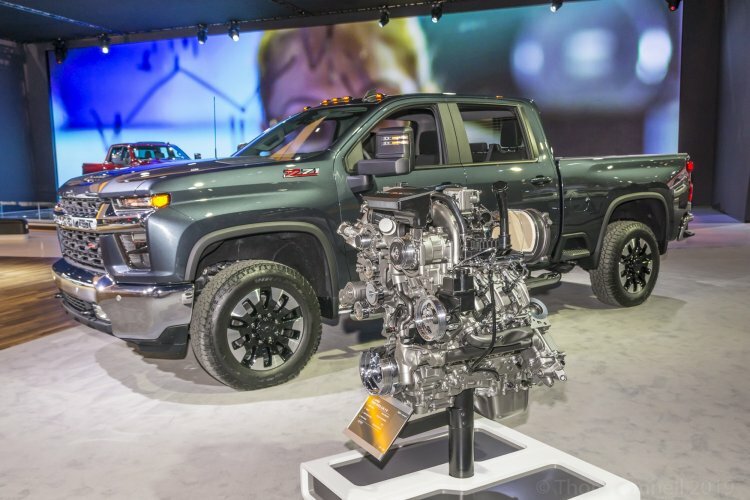 This is a great juxtaposition, the new Silverado Heavy Duty and its upgraded diesel engine. 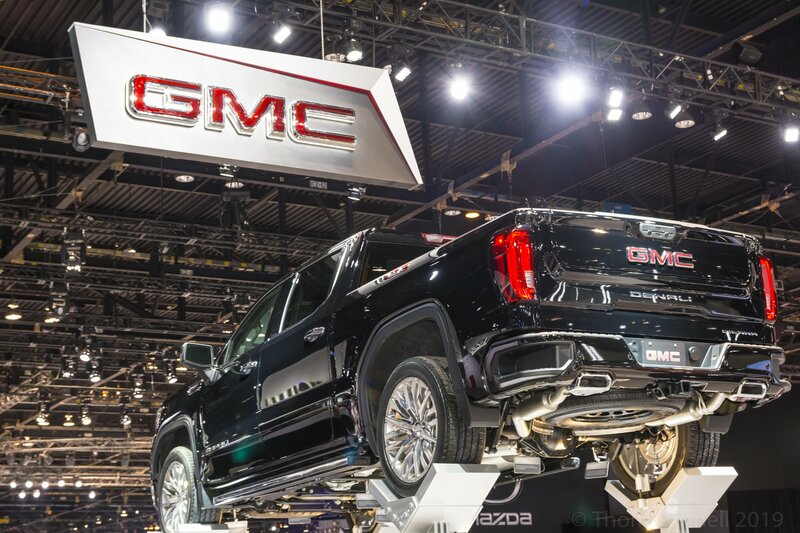 A perfect pair. 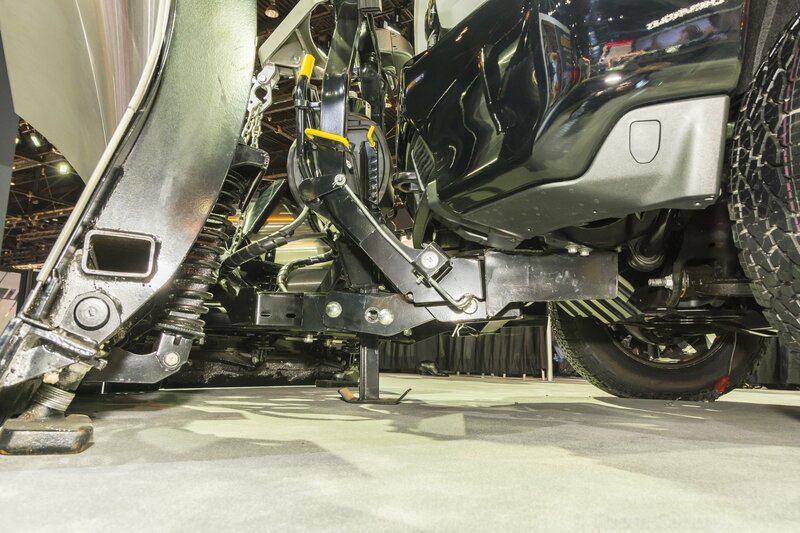 We again saw the snow plow in Chicago, this time close enough to crawl beneath for a photo of the no-cutting-required blade attachment system. 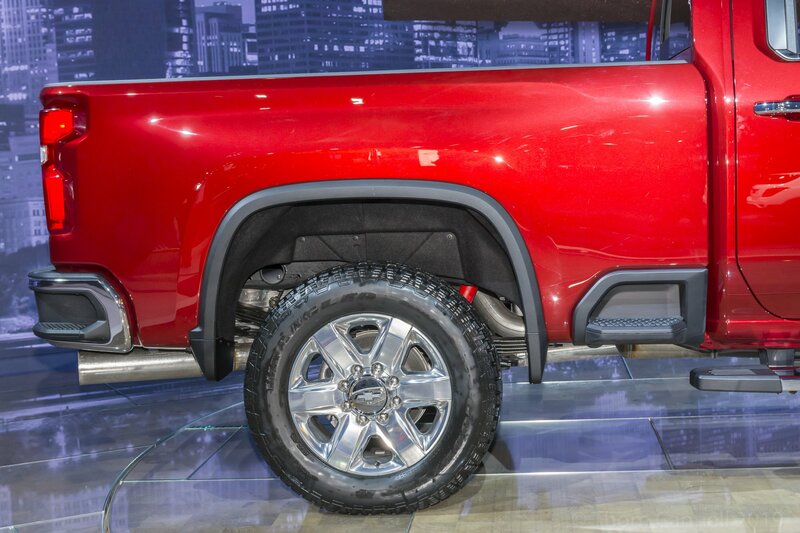 A pair of close-ups, first the dedicated, and covered, block heater that’s available and a better representation of the two bed steps designed for easy steel-toe boot access. 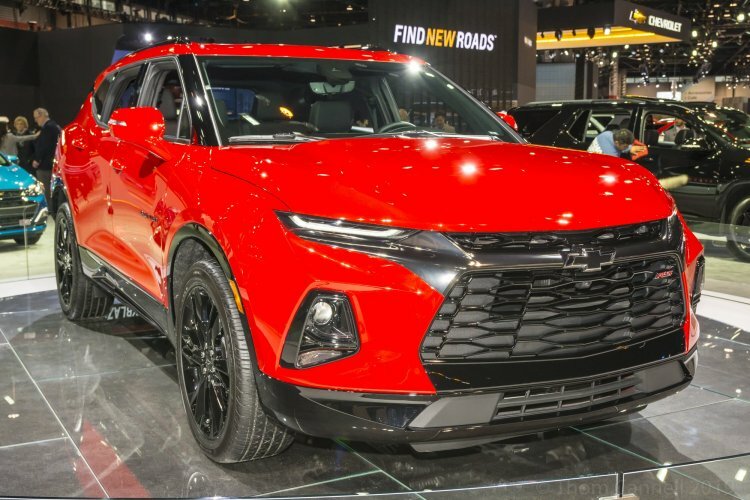 At first glance, in Detroit, the new Blazer didn’t move our emotional needle the way we hoped. Much better in Chicago, with better lighting and blazing red color. 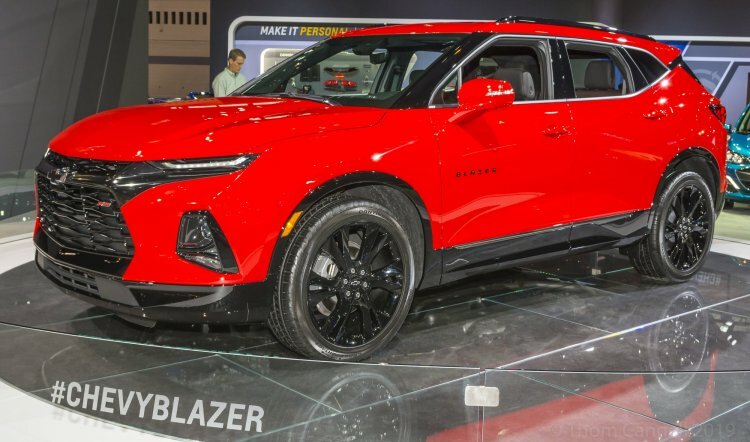 It surely fills a needed niche in Chevrolet crossovers; it’s based on a global platform that carries Cadillac’s XT5. 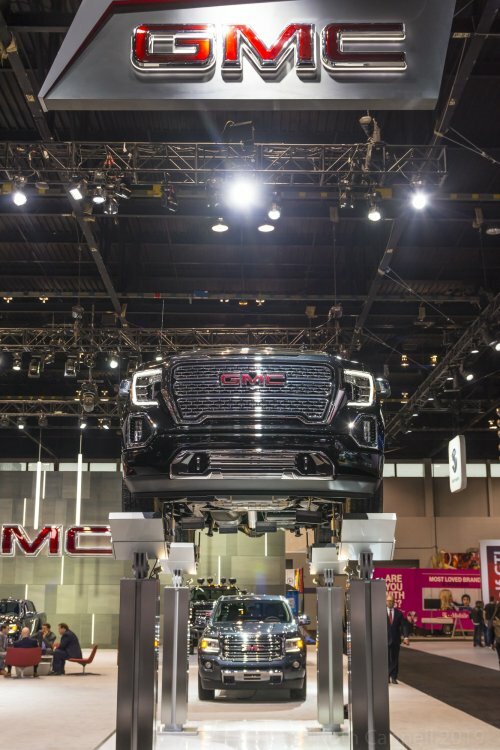 GMC brought no new product to Chicago, only a clean, bright and entertaining display. 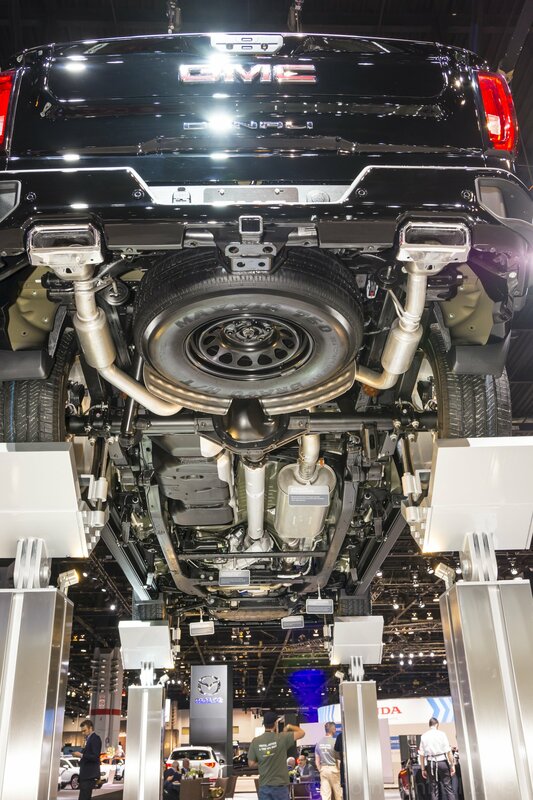 Of note, their walk-under Sierra and the tracked Aspen special we mentioned as debuting in Detroit. 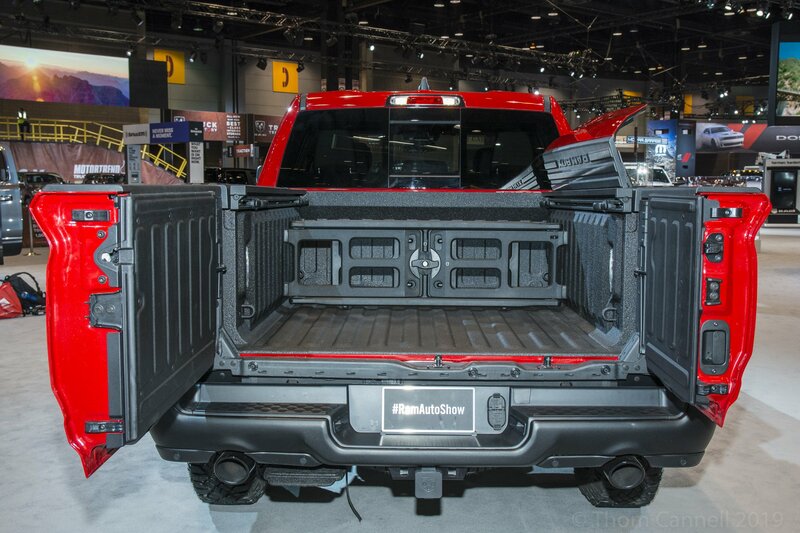 Trucks, regardless their size, battle on GVWR, tow ratings, tire size, infotainment screen size (and bigger is always better), and now tailgates. 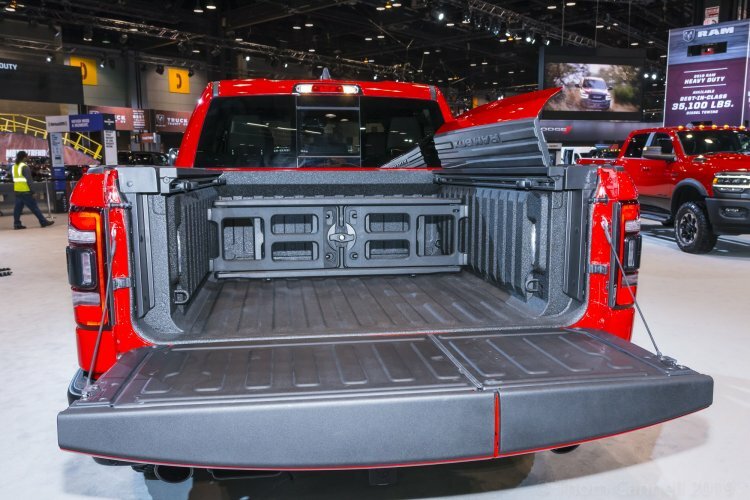 Ram has a split gate that opens larger-left, then right, or folds. 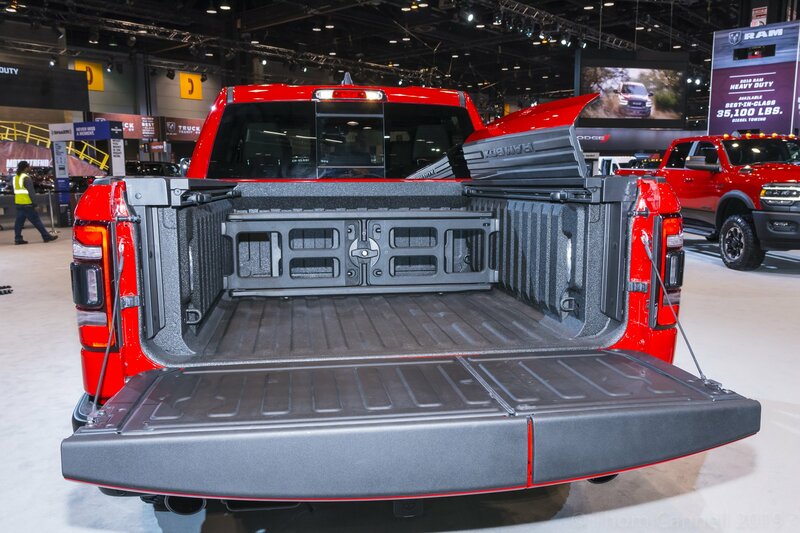 Ram offers a pullout entry step for easy entry, signature Ram box, and collapsible internal storage barrier. 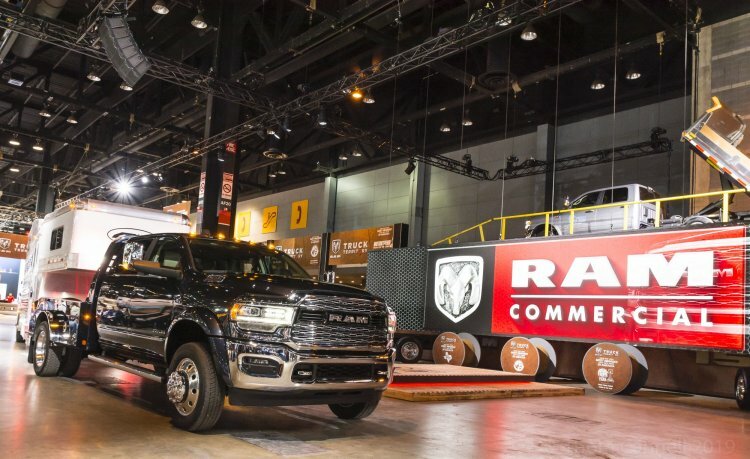 Ram’s big news—excuse the pun—was its 2019 Ram Chassis Cab; they brought several upfitter modified models as demonstrations, including a luxury fifth-wheel version. 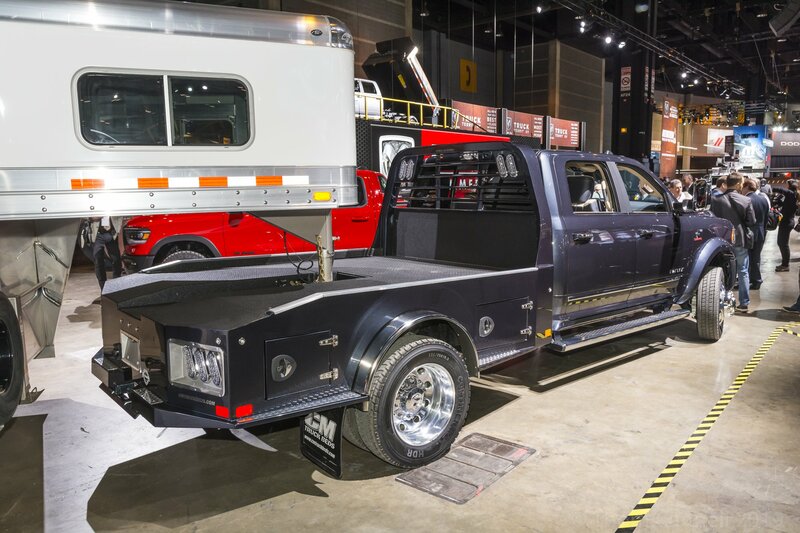 With so many ultra-lux 1500s, 2500s and 3500s, why there haven’t been more full-on interiors aimed at horse owners and racecar haulers, is retrospectively a mystery. Ram now offers its most modern interior to Class 3/4/5 upfitters. The chassis is 97-percent High Strength Steel, the diesel engine is an up-rated Cummins 6.7-liter knocking out 800 lb.-ft. of torque and mated to an 8-speed transmission. 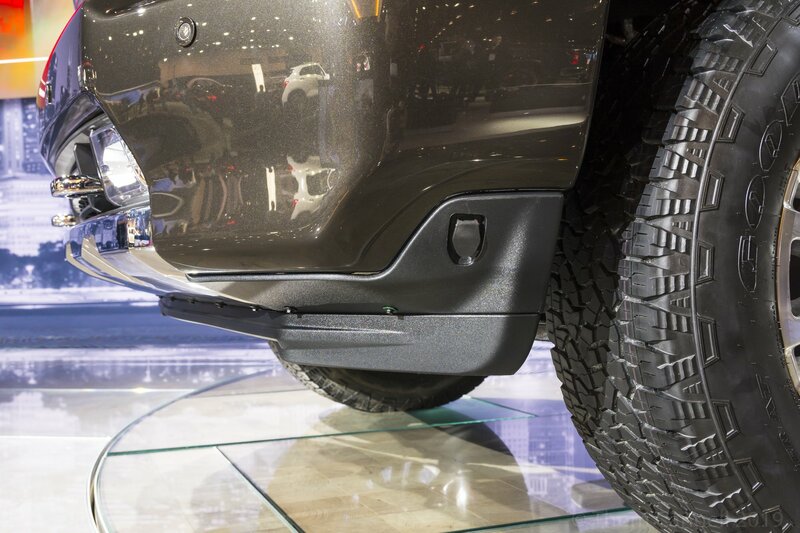 Not to be left out, Jeep brought a Rubicon version of the new Gladiator. 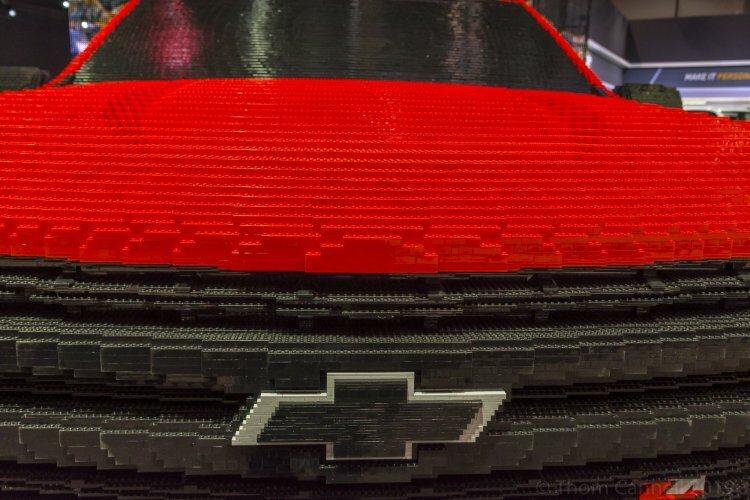 Looks pretty rad to us. You? 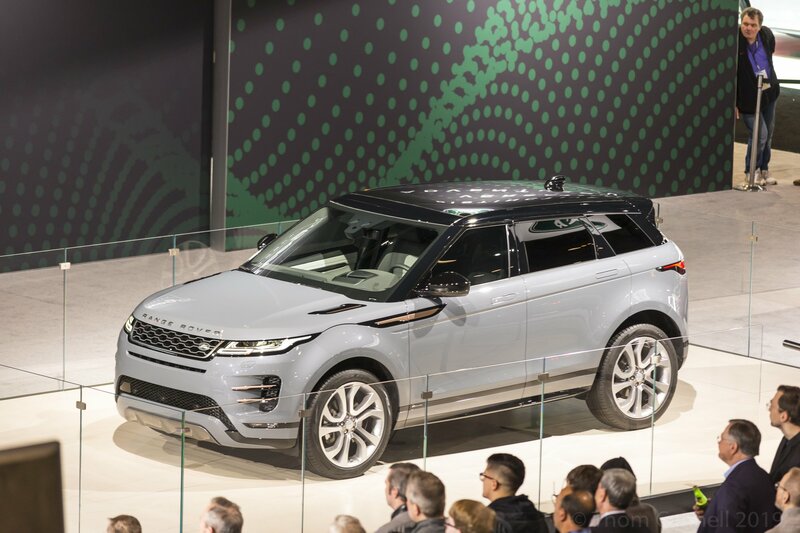 Land Rover’s latest small SUV/crossover Evoque is externally similar, though the platform is all-new and a bit longer with improved cargo space. Off road technology, which the brand is known for, is improved and the 246-hp Ingenium engine is now mated to a 48-Volt mild hybrid power assist to make 296 eco-friendly horsepower. Toyota debuted TRD Pro upgrades to its Tacoma, RAV4 and Sequoia. 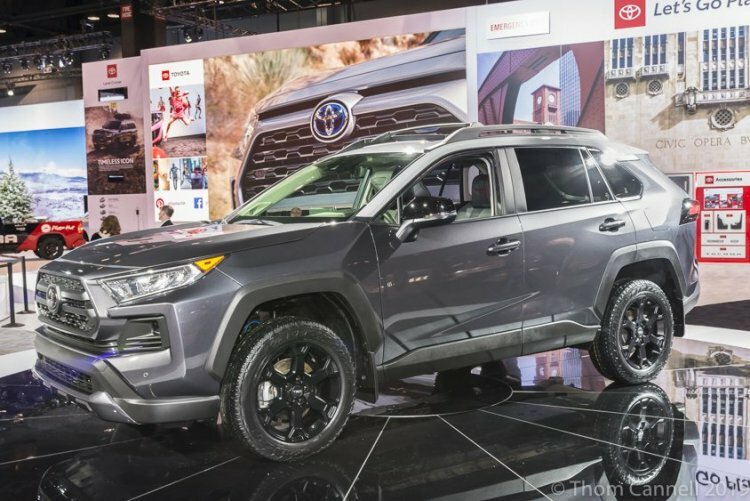 RAV4 has barely arrived in dealer showrooms, yet received welcome off road chops thanks to a dedicated suspension, all-terrain tires, all wheel drive, and standard torque vectoring for this RAV4 TRD Off-Road model. 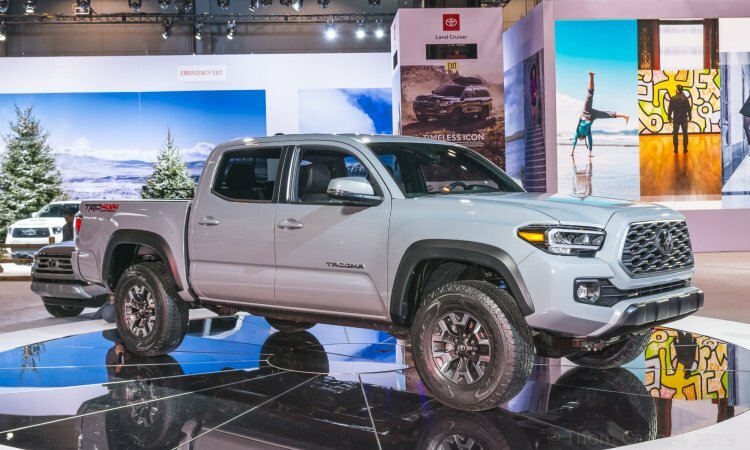 Tacoma, the perennial best-selling mid-sized pickup in North America, adds power-adjustable seats in most grades and has improved infotainment systems with 8-inch touchscreens that are smart phone savvy. Performance and glitter items like new grille and wheel designs, sequential LED headlights for the Tacoma TRD Pro model are balanced by new exterior cameras that deliver surrounding terrain views for improved off road safety. Sequoia TRD Pro now offers TRD-tuned Fox Racing off road dampers, plus other greasy-side items and an upgraded leather seat interior. 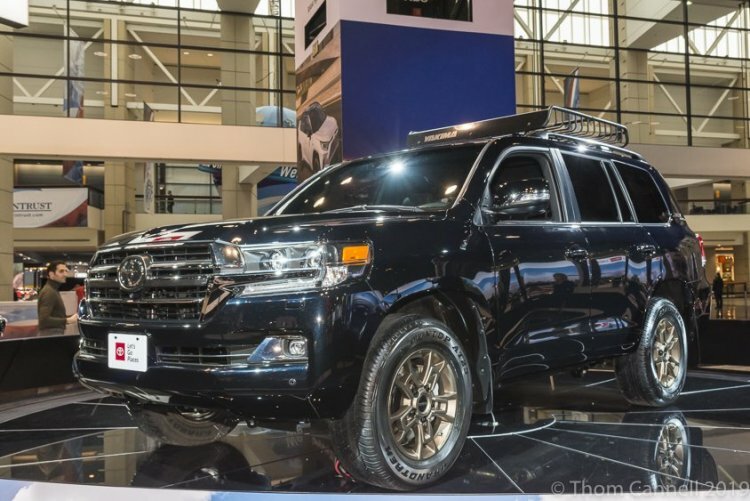 The Land Cruiser Heritage Edition, a USA-specific version, goes the opposite way, shedding its chrome, third-row seats and running boards in favor of bronzed BBS wheels and a clean, subtly badged exterior. 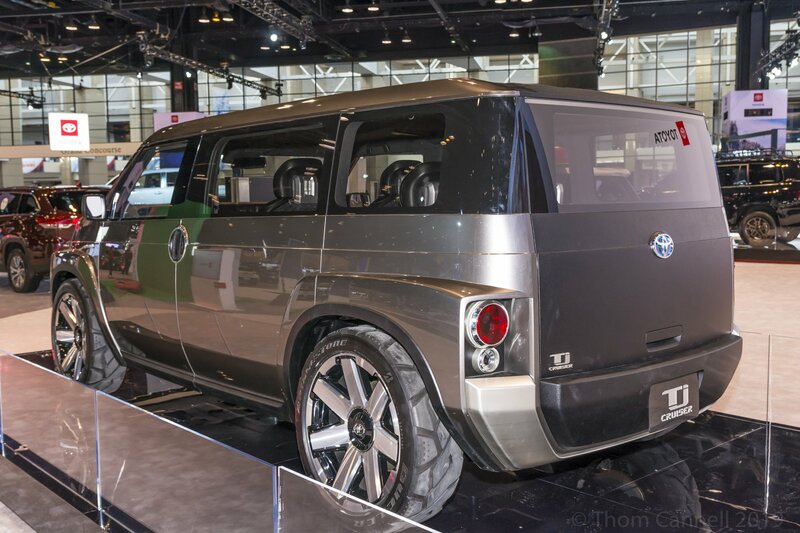 Without fanfare, Toyota put what may be future crossover product, the TJ Cruiser, on display to gauge reaction. 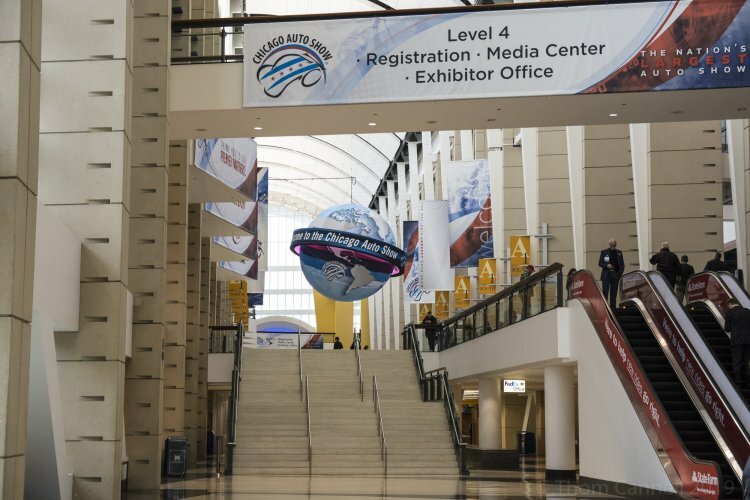 Feel free to let them know what you think. Ford introduced its Super Duty trucks the week before GM’s similar launch. 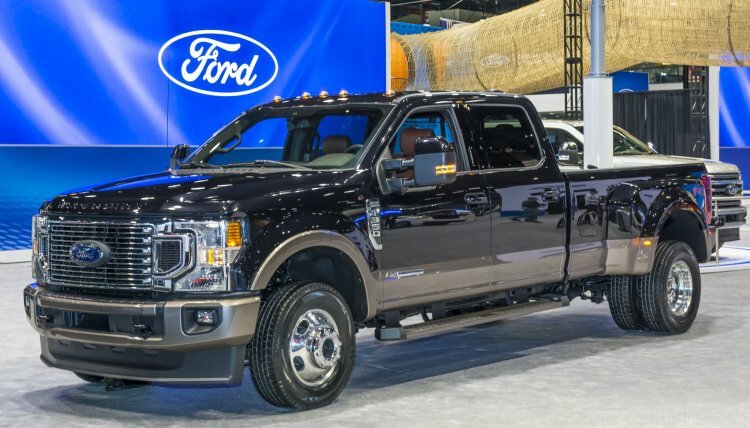 Their new Super Duty features three engines, the venerable 6.2-liter gas engine, now joined by an all-new 7.3-liter V-8 and third-generation 6.7-liter Power Stroke diesel. The newer motors are paired with a Ford-designed and built 10-speed automatic with optional PTO. Features include a new high-flow grille, Pro Trailer Backup Assist, LED headlamps, and improved trailer tow and payload capacity. 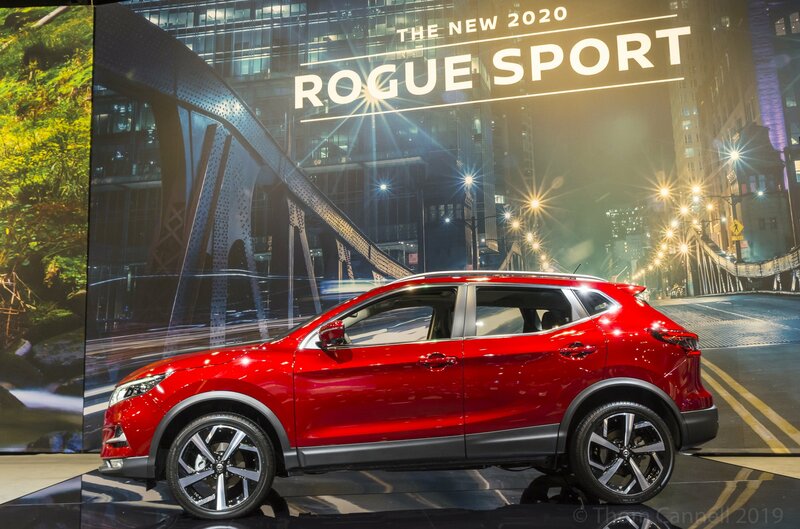 Nissan’s 2020 Rogue Sport, not available for several months, offers new grille, refreshed exterior styling, and adds high-level safety features: Nissan ProPILOT and Nissan Safety Shield. Together, that provides owners with automatic emergency braking (AEB) with pedestrian detection, rear AEB, lane departure and rear cross traffic alert, radar-based smart cruise control and high beam assist. 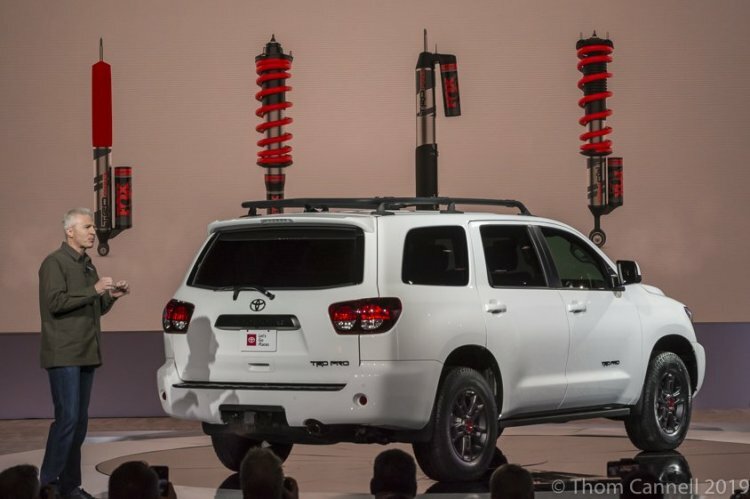 ProPILOT tech ““is a single-lane “hands-on” driving assistance technology that eases driver workload by reducing the amount of driver acceleration, steering and braking input under certain driving conditions, such as single-lane highway driving,” or semi-autonomy”, the company says. 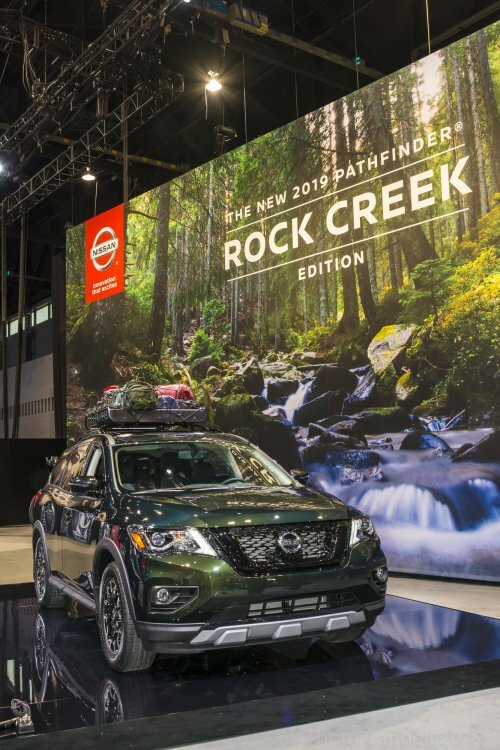 The Nissan Pathfinder Rock Creek Edition adds 18-inch wheels and some interesting, and functional cosmetics like black over-fenders, black-mesh grille and black roof rails, door handles and exterior mirrors. 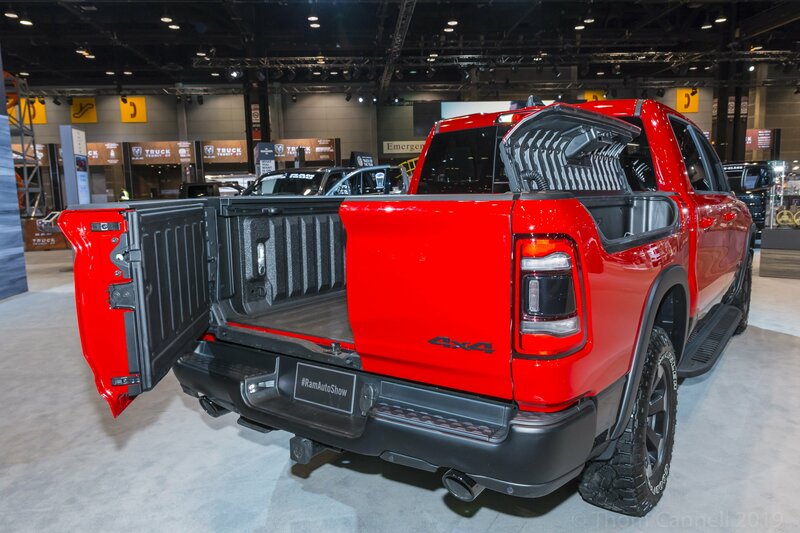 Inside they’ve added two-tone seating with contrast stitching; functionality includes a Best-In-Class 6,000-pound tow rating.